Why you need an X-Head when you have crash bars. Even in a driveway drop, the inertia of a fall will cause a bike to roll briefly onto the face of the cylinder before it settles down on its bottom edge. X-Heads cover more area than OEM and other aftermarket head guards. 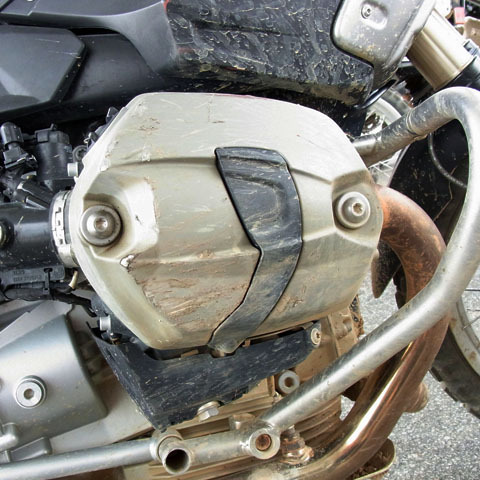 For GS off-road riding X-Heads are an effective complement to crash bars to cover surface area bars cannot.